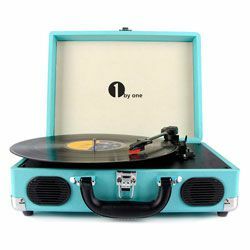 This article is aimed to help the potential customers make a reasonable decision on a new turntable to animate their time-honored vinyl records. The difference in characteristics, the presence or absence of specific features can be a winning argument in your choice. 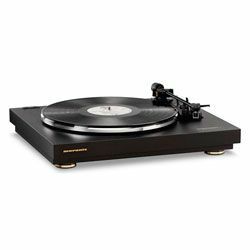 Get ready after reading this review to settle upon the best turntable under 500 dollars. 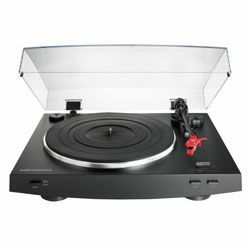 Comparing the turntables in the range of the indicated price you can notice some significant differences like the presence or absence of a phono-preamp, automatic or manual adjustment of the tonearm, replaceable / irreplaceable cartridge, with or without a dust cover and USB computer connectivity. Some of the units have adjustable vibration-isolating feet, while the others lack this prerogative. 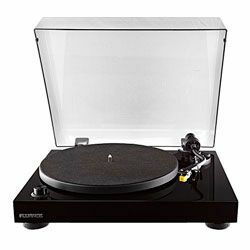 At the same time, for one audiophile an automatic tonearm is a significant feature because they can go out and forget about the playing turntable, for the others, it’s just the icing on the cake. 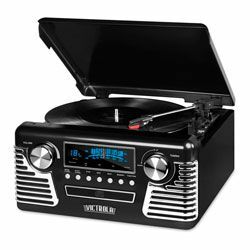 In general, the vinyl record players of this price range are characterized by solid construction, good quality build to minimize inaccuracy in playing the LPs, quite easy setup, and basic features oriented on the sound itself. I was quite amused by the plug-and-play ease of the setup process and satisfying build quality. 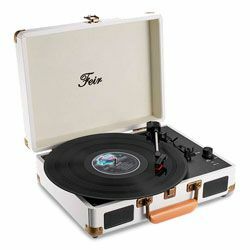 The product is shipped with a hinged dust cover which afterward provides an outstanding sound. 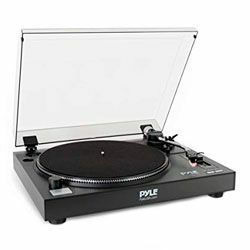 Although the turntable stands don't adjust, they are vibration isolators, that’s why because of ultra-low friction you receive the clear detailed noise-free sound. At first, I was confused by a slight motor hum which was gone after several hours of LP running. 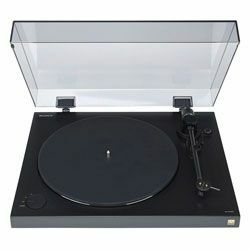 The feature which could be perfected but isn’t that great disadvantage is that this turntable is not automatic so you have to position the tonearm manually at the start and pick it up when it's done. 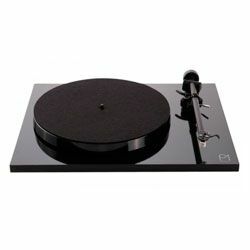 No questions to the main basic components like the platter, the cartridge, the tonearm which are good-quality pieces. Stylish outer look and good usability provided by stiffer headshell. Dynamic sonic signature thanks to stands’ vibration isolators. 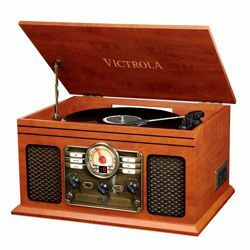 No built-in preamp, so you need to buy additionally a receiver or amplifier with phono input or a stand-alone phono pre-amp. Not very convenient to go below the platter to change the speed to 45 RPM. Anti-Skate isn’t adjustable if you once decide to upgrade the cartridge. 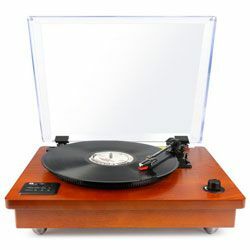 The second turntable competing for the title of the best record player under 500 bucks is intended to create digital files of such formats like WAV or MP3 easily turning your old forgotten records into the top of your digital music playlist. 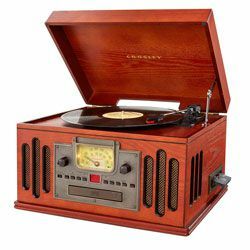 Thanks to the included number of Audacity software easy-to-use features, you can remove different crackles, clicks, vinyl surface noises of your transferred files, or you can leave everything like it is and get MP3s sounding just like your well-known lovely vinyl records. 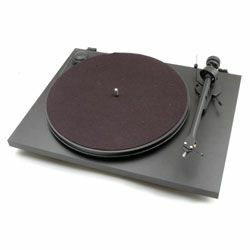 This model has an "S" shaped" tonearm (with a replaceable needle) which follows the shape of the LP and places the correct pressure on the needle and in this manner helps reproduce the accurate sound. 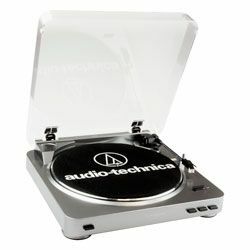 The material of the platter is aluminum which provides more stabilized disc speed because of better mass. 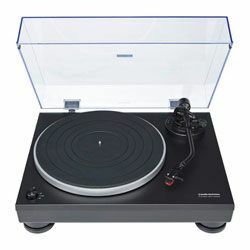 Although the setup is quite tricky, the turntable goes with clear instructions that can provide a solution to any problem that you come along. USB computer connectivity for PC and Mac for convenient converting of the tunes from your favorite LPs into the new century’s digital records. 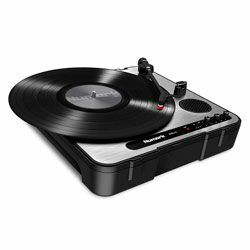 Adjustable anti-skate control and a detachable headshell help with scratched records. Interchangeable cartridge so that with time you can adjust it to your new requirements. 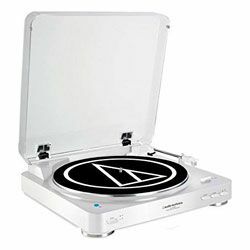 It doesn't come with a dust cover which is necessary for keeping the dust off the platter and your records. Tricky setup process because of the number of features included definitely not for novices. 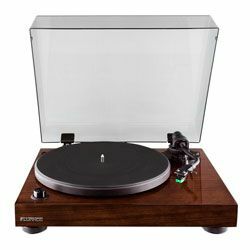 This turntable occupies its well-deserved place in the race for the title of the best $500 turntable because it is equipped with a decent moving magnet (MM) cartridge which plays one of the most important roles in turntables. Moreover, due to the considerable mass of the alloy aluminum platter, which provides minimal noise transmission and no wobble, the clear sound can be achieved even at basses without any snap, thumps, hiss, or pops. The tonearm’s height is adjustable so that in case of changing the needle or the head to the one of a different height it could be done easily. The manual switching from 33.3 to 45 RPM is performed by going under the platter and moving the elastic band using a special instrument provided in the kit. One of the annoying things about this model touches the setup process, namely, it can take some time to balance the arm and hang the anti-skate. A good choice for novices as it goes with well-written instructions. Good MM cartridge that will serve you for a long time. This unit is equipped with an adjustable counterweight for more convenient usage. Excellent speed accuracy at 33.3 and 45 RPM thanks to the solid construction. You have to remove the plate and move the belt if you want to change the playback speed which is quite an annoying thing. The skating mechanism is small, that’s why it’s quite difficult to hang. 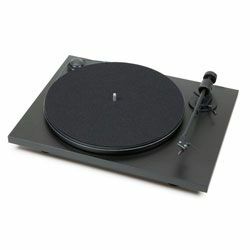 This is a quality turntable under 500 dollars with a weighted, adjustable tonearm. Setup is straightforward if following the instructions in the user manual included in the kit. I must admit that the volume of the records while recording from USB is very low though it works very well without any cable noises. However, using Gain option, it’s possible to volume the records up. The installed software is basic and that’s why convenient for editing tracks and can then be transferred to a portable player in high-resolution capability. A high-quality rubber mat in this model assures good inertia and stability. 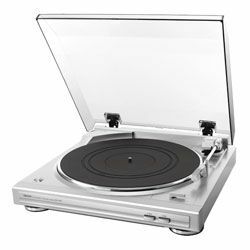 It doesn’t completely skip proof, but a tight contact with the record’s surface handles the vibrations on a slightly wobbly table. The cartridge is stabilized and focused by the inner shell which provides an extended sound, whereas its lightweight construction improves coherence. 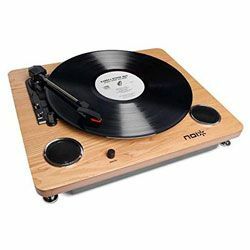 It goes with a built-in phono preamp which can save your money on a purchase of a stand-alone preamp. Swapping up the cartridge can be a tricky process as its wires are hair-thin and very close to the wires coming from the connectors. Controls on the turning table are minuscule and because of that not the easiest ones for permanent use. 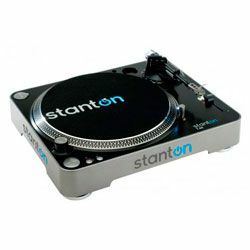 The turntable’s tonal balance is neutral but is slightly short of it in the low frequencies. 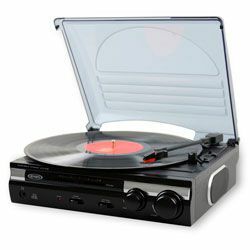 As soon as the music player is accurately set on the flat surface and the tonearm’s needle is carefully lowered onto the record track, you get the possibility to hear music recorded on your favorite LP fulfilling your room with all its fullness and diversity as if you returned back in time. This effect is achieved by the quality tonearm together with the cartridge. The Ortofon company cartridge in this model is of good quality with a neutral tonal balance, but if you decide to change it, you may face a problem because it lacks the removable cartridge shell which complicates the process. 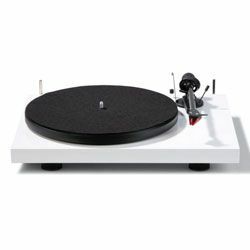 No questions to the tonearm with its lifter and the platter which are easy to use and the motor running quietly and evenly. Acrylic cover, base, motor, and stand are of very good quality, giving you a pleasant sound without any flutter, rumble. Cartridge and quality carbon fiber tonearm let enjoy every slight nuance of your favorite music. It is equipped only with a phono-out output without a USB plug. A preamp isn’t included in the unit. Isolation together with plastic non-adjustable feet aren’t good for coping with groove distortion, so choose carefully the surface you are putting the turntable on. 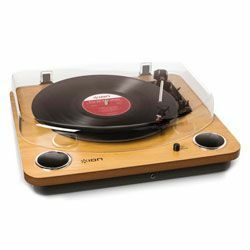 This turntable is potentially best turntable under 500. 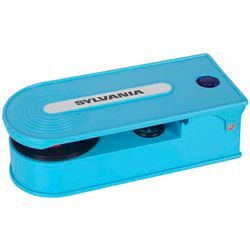 It is a great alternative for people making a choice of a product that is easy to set-up and use without fear of hurting their records. Unfortunately, it comes with proper weighting for the stock cartridge not offering adjustment to other cartridges. Still, it has a number of advantages that are worth considering when buying. 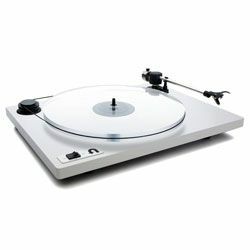 It features a proper tonearm with the use of which it suggests you play your vinyl at a very accurate and stable speed. This model has an advantage of a nice sound coming out at an S/N ratio of 65 dB. 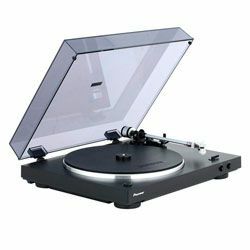 Automatic tonearm which means that clicking on the ‘play’ button, the tonearm is positioned onto the recording lawn by itself, the vinyl is played and the tonearm returns to the resting position when the record stops. It has a built-in preamp which is an advantage in the matter of money saving on the purchase of an external one. There is no adjustable tracking force or anti-skate. Cartridge is not supposed to be replaced meaning the slot for it isn’t adjustable, so it’s possible to change the cartridge in the case of damage only to the one of the same brand and model.